“As I write this letter, I catch a glimpse of our security camera’s image out of the corner of my eye. José Daniel is at the front door looking for some food to eat. We invite him in, let him take a shower to wash the grime off, give him a clean shirt. He will play video games with the other Micah boys for a while and maybe some basketball. We will ask if he wants to stay, but he will make excuses in an hour or two and will head back to the streets. On his way out the door, he will round the corner of our house to dig his glue bottle out of the hole in which he has hidden it. 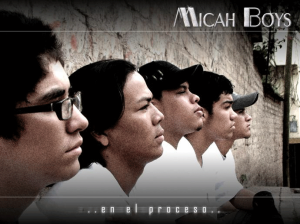 This January, we celebrate the 15th anniversary of the Micah Project. The arrival of this milestone has apparently made me nostalgic, because I have been reading back through the updates and letters that we have sent out since our founding in 2000. The paragraphs above are from six years ago, when we were desperately trying to convince twelve year-old Hector and thirteen year-old José Daniel to leave the streets and join the Micah Project. These two street boys were similar in a lot of ways: though they had essentially lived on the streets their entire lives, they shared a sweet spirit and easy smile that belied their degraded condition. Those similarities began to fade in October of 2008, when Hector appeared once again at our front door, this time without Jose Daniel. It was a cold night, and, once we invited him in, we lent him an old, oversized coat that went down to his knees. After a while, he wandered into my office and whispered in my ear, “Michael, can I live here forever?” He had no idea how many people were praying for him to make that decision! That day was the first day of Hector’s life as a Micah boy. 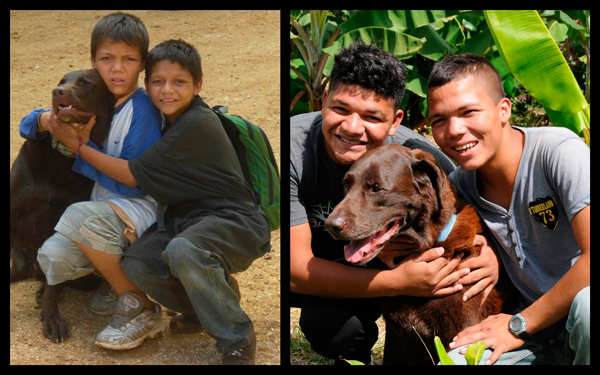 Hector had his ups and downs in his first couple of years at Micah, escaping from our old house several times and returning to the streets for days at a time. But he kept coming back, and was able to fight his addiction to the point of conquering it. He started school with us in 2009 in the first grade; now, he is entering his sophomore year in high school! 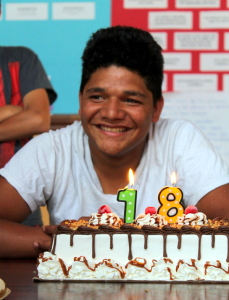 In January of 2015, 18-year-old Hector is one of the oldest guys living in the Micah House. He is a leader, and the newest generations of boys look to him as a role model and confidante. He still has that same gentle spirit and sweet smile, but those qualities are now anchored on top of a confident faith in the One who saved Him. 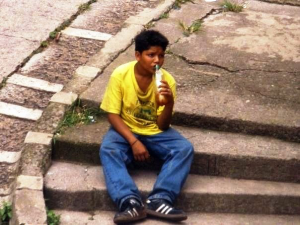 In January 2015, however, José Daniel remains on the streets, addicted to yellow glue. He, too, has the same sweet spirit that he has always had, but his eyes have an empty and lost look to them, and his words are always underscored with regret for having lived his entire childhood in the streets. Two young men with so many similarities, but now, worlds apart. Along with that amazing fact, though, is the realization that the healing path is rarely a straight line upward. According to Christian psychologist and author Dan Allender, “the healing path is not a jaunt in the park. It is a life-rattling, heart-revealing journey that takes us through danger, harm, heartache—and ultimately to new trust, profound hope and…love.” In other words, as our young men strive to become confident, purpose-filled men of God, the process of stripping off the old life and grafting on the new can be painful, ugly and full of hidden pitfalls. It is not uncommon for some of our guys to give up for a time. Especially when they turn 19 or 20 and begin to view the tragedies of their past lives through adult eyes, they can go through a time of despair and confusion. Jerson (pronounced HAIR-son) was one such case. He joined Micah in August of 2003 and did well his first few years, moving through school and writing and recording Christian songs with the other young men from the project. As he was getting ready to graduate from high school in late 2007, though, his past addiction began to creep up on him again, and eventually drove him from the Micah Project. We helped him check into a Christian drug rehabilitation facility a couple of times, but the lessons he learned there never seemed to last more than a few weeks after being released. In August of 2009, I wrote these words in an email to a friend who had been praying for Jerson: “I wanted to let you know that Jerson went back into rehab today. He had gotten about as low as you can go…he had gotten laid off from his job as a janitor and was really big-time back into the drug scene. He looked horrible too, gaunt with hollow eyes…” For a while, it seemed like Jerson would spend the rest of his life sunk in addiction and disgrace. But we remember once again: God never fails. The transformation that began in Jerson in his years at Micah never completely abandoned him, even in the years in which he slogged through the valley of the shadow of death. Near the end of 2012, he re-dedicated his life to Christ, and began to grow in leaps and bounds. Last year, he spent several months planning an evangelistic crusade in our neighboring Villa Linda Miller community, lining up speakers and singing groups for a large outdoor event. Shortly after that, he asked to share his testimony with the new generation of Micah guys. For over an hour, he shared stories with our boys about how the Lord rescued him from the miry depths—again and again and again, until he finally gave his life completely over to his Savior! Currently, Jerson works for Micah on the weekends as our guard and gatekeeper, and we are so proud of him! It would be easy for us to just focus on the obvious success stories that have occurred throughout Micah’s history—there are enough of those to keep us constantly encouraged! But stories like Jerson’s remind us to be people of radical hope. 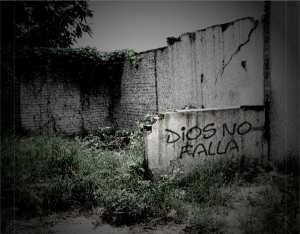 To never, ever give up on the God who doesn’t fail. As painful as those times can be, when a boy that we dearly love takes steps back into self-destructive behavior, we have learned to keep praying and to wait upon the Lord. Ecclesiastes says, “He has made everything beautiful in its time. He has also set eternity in the human heart; yet no one can fathom what God has done from beginning to end.” Fifteen years have taught us that the fact that the boys don’t always move forward according to our plan and our timing doesn’t mean that it is over for them. We cannot see the end of their individual stories; that knowledge is God’s alone. But because He IS a God that never fails, we keep praying and keep encouraging and keep hope alive at all costs. And that brings me back to José Daniel. The very last sentence of that 2008 “Holy Discontent” update said this: “And, with that same hopeful disquiet of heart, we will let you know just as soon as Jose Daniel becomes the next Micah boy.” That did not happen in 2009. Or in 2010. Or in the following years. We prayed and hoped and waited. 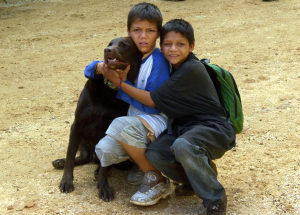 Others boys came off the streets and became Micah boys, but Jose Daniel remained in the miry pit. A sad fact of life here in Honduras is that, if a kid turns 18 years old and is still living on the streets, there are literally no public or private programs to help them get off the streets. José Daniel falls into that category: he has aged out of the help he so desperately needs. That is about to change. In 2014, our street minister Stephen Kusmer began a new initiative in the old Micah House, which we have renamed “the Isaiah House”. This will be a place for these older street youth to be able to start life again through discipleship, rehabilitation and job training. While we have not begun the residential aspect of the Isaiah House yet, Stephen and a group of amazing volunteers bring six or seven youth from the street several times a week to spend an afternoon in the house. They read the Bible together, have some basic lessons in reading, writing and math, and play games together! We hope to open the residential phase of this new ministry in the upcoming months. And guess who is one of these six or seven young men that has faithfully showed up at the Isaiah House in the afternoons? 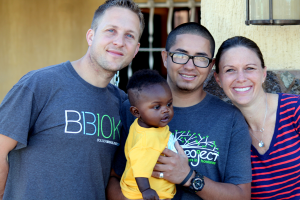 One of the first potential residents of the Isaiah House in 2015? Our beloved Jose Daniel! Six long years of waiting have gone by, but there is still hope for this precious young man. Why? In January of 2000, just days after we opened the doors of the Micah Project, I sat down to write my first-ever update. 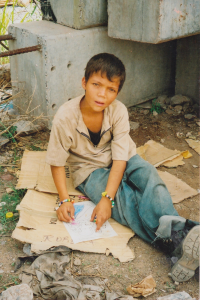 It ended with these words: “There is no doubt that God has a special plan for each of these ex-street kids, and it is our belief that He will use the Micah Project to accomplish this plan”(January 2000). If I had had any idea about how challenging, painful and downright terrifying His special plan can sometimes be, I think I might have rolled up our doormat and shut things down after the first month! 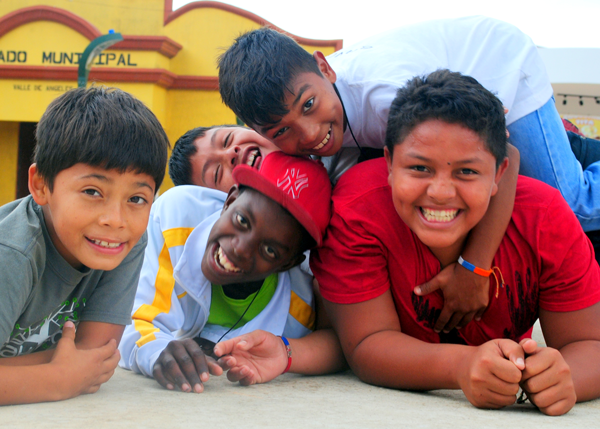 Whether they are for Hector, Jose Daniel, or for one of the other 57 boys that have called the Micah Project home since we first opened our doors, God uses your prayers to accomplish his purposes, in his perfect time. We pray that, whether you have been a part of the Micah Project for one year or fifteen, you too would see clearly how He has used you in these lives to make everything beautiful in his time. And for the ones who are still out there, who are still suffering, still wandering: keep praying! God’s story in their lives has not been completed yet!